One of the first recipes I remember making when I was young were buttermilk biscuits. I’d load them up with strawberry jam and snack, snack, snack. In fact, thinking about them now makes my stomach rumble–and makes me think I should make those comforting buttermilk biscuits tomorrow. However, it’s these Cheesy Garlic Biscuits, a Copycat Red Lobster biscuit recipe, that have captivated my daughter’s foodie love. She’s even stopped me at the store begging me to buy a box of Red Lobster Biscuits Mix. No lie. That’s one way to make these tasty treats. Or, you could simply make this easy copycat recipe. You’ll get more biscuits out of it and the satisfaction of knowing each and every ingredient that is put into your food. I’m all about bread recipes. And making homemade bread is the best. Think about it…when you bake bread, you get to bask in an awesome aroma that just kind of hangs in the air, waiting to be captured. And then there is the end product, which you get to slather with butter and nibble to your heart’s content. Yes, baking homemade bread is all kinds of right. Whether we’re talking about drop biscuits to serve with sausage gravy, banana bread or your favorite pumpkin muffins–bread is where its at! 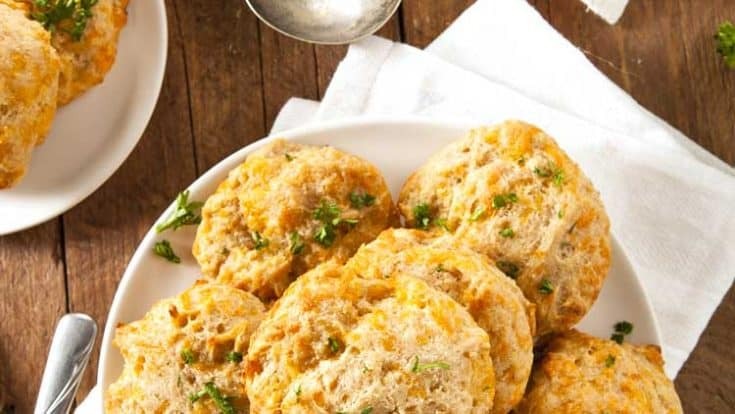 Trying to find out how to make Copycat Red Lobster Cheddar Biscuits just like Red Lobster makes? We've got the recipe for you and it is a keeper! 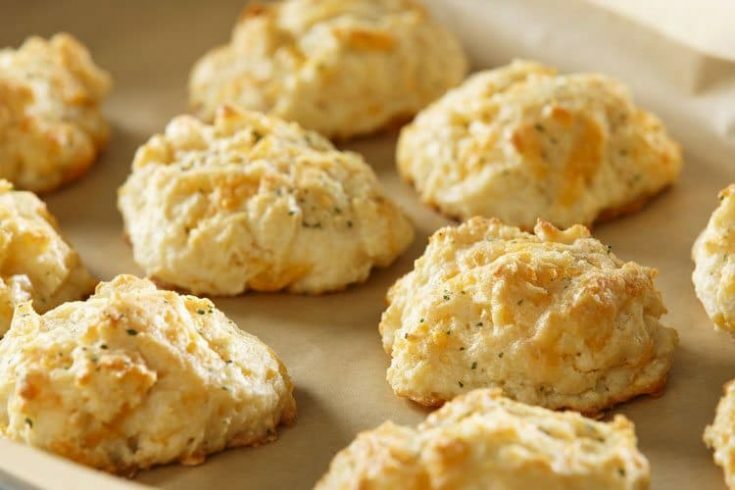 There is no link to your recipe for the Red Lobster Copycat biscuits. Thanks for letting me know. It was a plugin glitch but is now back up. So glad you alerted me to the problem! Enjoy! 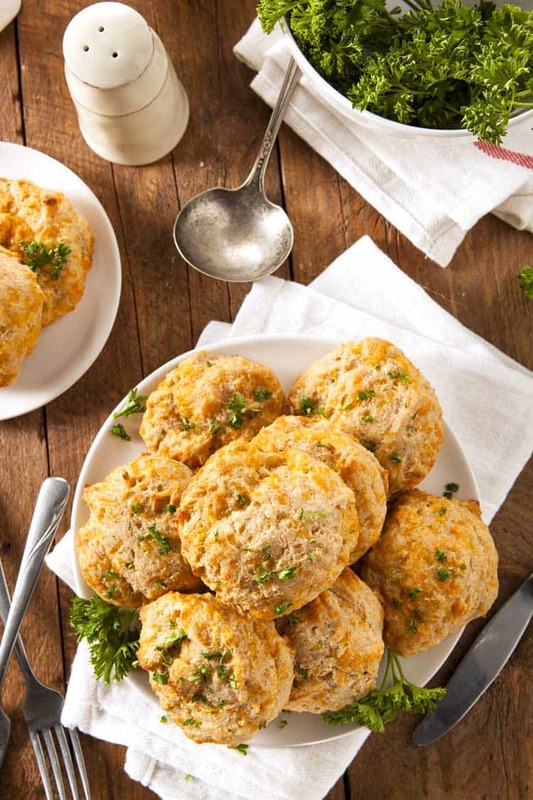 I have such a weakness for Red Lobster Cheddar Biscuits – and we don’t have Red Lobster in the UK so I really miss them! Thank you for sharing this tasty copycat recipe. I’ll be featuring it at the Hearth and Soul Hop next week. Pinned too! Have a great weekend! you hit the trifecta Jessica! I loved all three recipes this week. Thank you for sharing at #RecipeSharingParty! pinned and yummed. These look amazing! They are my favorite part of Red Lobster! Thanks for sharing at you’re gonna love it.